The distribution maps produced as a result of the 1991-1997 Ayrshire Breeding Birds Atlas fieldwork have been made available, mainly to provide a comparison with those which appear in the new BTO Atlas. Each species map shows the breeding distribution of most Ayrshire species encountered during the Ayrshire survey years. 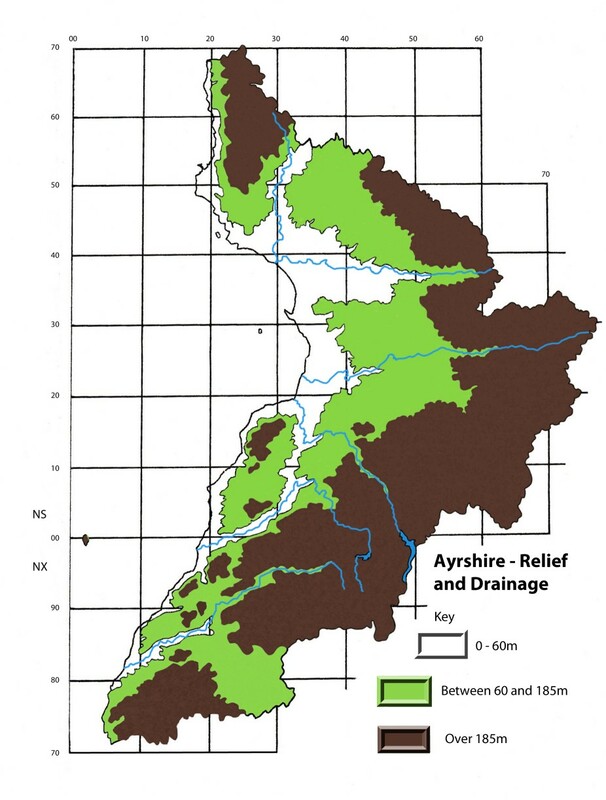 A relief map of Ayrshire can be used to place each species in context. Many changes have occurred in the period between 1997 and 2013, and the comments accompanying each map offer a brief summary of the current population trend for each species. In addition, there is a statement on what could be potentially useful follow-up work in Ayrshire. The species’ nomenclature used follows, in most cases, the accepted common usage within Ayrshire. What is very clear is that, without further fieldwork on some of the currently common species, we may miss the opportunity to both understand and offer some protection to those birds – that is, providing the various levels of government and responsible agencies look at the results! A lot of effort went into gathering the information for these maps and my thanks are due to many Ayrshire (and visiting) birdwatchers – an acknowledgement appears at the end of this introduction, with apologies to anyone whose name I’ve omitted. The maps can be found on the Ayrshire Species List page by clicking on the magnifying glass icon beside each species name. Each map is a PDF document that should open automatically in your browser. If it doesn’t please install the freely available PDF viewer from Adobe . Survey work was carried out on much the same basis as that of the national breeding birds atlases where each 10 km square on an OS map is subdivided into 25 tetrads (2 × 2 km squares) which are then assigned letters from A-Z (no letter “O”). Observers then completed their fieldwork, with no fixed time limit in each tetrad, recording every species and attempting to discover its breeding status. There are 3 sizes of “dot” on each map showing the breeding categories recorded for each species. The largest dot indicates confirmed breeding, the middle sized dot indicates probable breeding and the smallest dot shows possible breeding. The criteria used to assess each category followed those recommended by past and current national atlases. It won’t take you long to realise that some species have been omitted from the species maps. Broadly these fall into 2 groups – recent colonists, Nuthatch being the most obvious, and sensitive species such as Whooper Swan and Hen Harrier. In the case of the former, an update, along with an estimate of the current status of the breeding population is provided after the species maps. 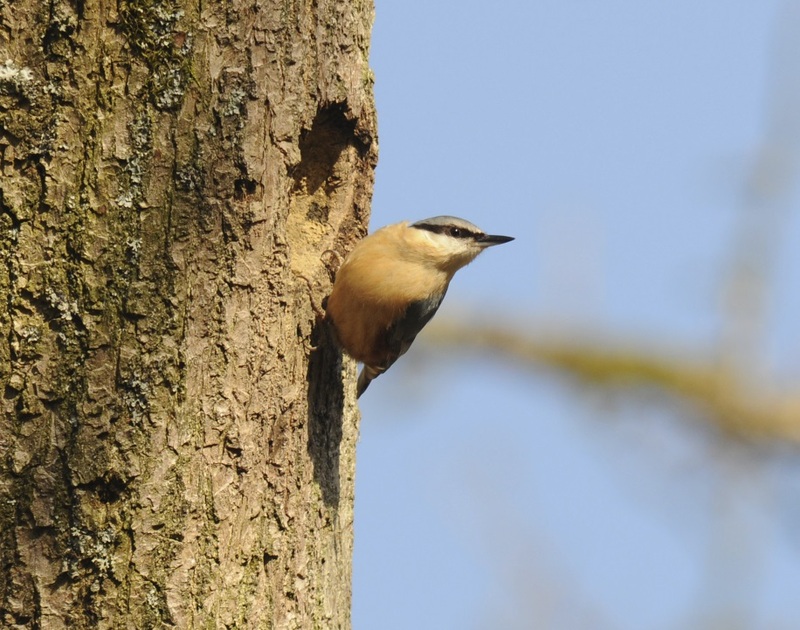 The first fully authenticated record of Nuthatch in Ayrshire came in 1997, followed by the first breeding record in Glen Afton during 2004. Since then, the bird has almost become a county-wide breeder, occupying many of our parks and woodlands. Currently, the main strongholds include sites such as Culzean Country Park and Rozelle Park in Ayr, although this impression is most likely due to observer coverage. It will be interesting to see if the bird can sustain this rapid colonisation. NB In some cases, the species below have not bred in Ayrshire for many years and the records relate to historical records. 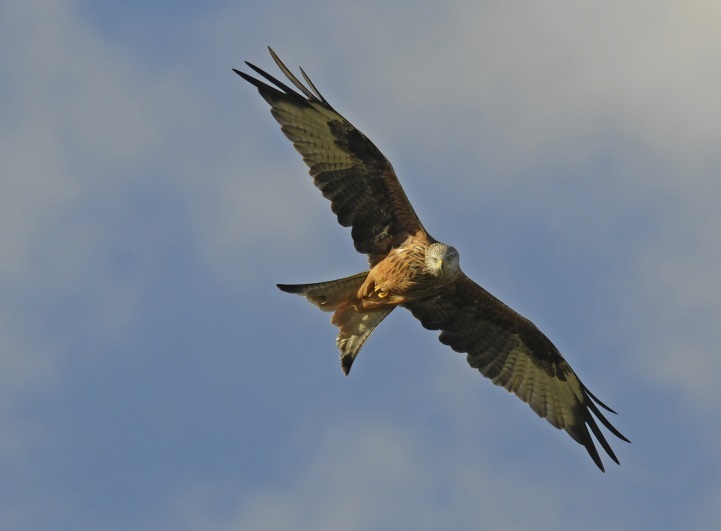 Red Kite – a former breeder on its way back? In all cases, a full set of valid reasons for your research would be required. P Cassidy, D L Clugston, P N Collin, W A Davidson, A Dowell, B C Forrester, D Given, R Gladwell, J Green, G & A Griffiths, J Hazlett, R Heaney, R Hissett, J Keddie, B D Kerr, L McArthur, P McEwan, J McGrady, D McIvor, W McKechnie, D McKinnon, H L Martin, M E Murdoch, A A Murray, J Nisbet, S O’Kane, B Orr, D Rennie, G S Riddle, C J Rollie, G Shaw, G Sheppard, F S Simpson, R A Stakim, A Stevenson, J Thomson, J Tudhope, R G Vernon, L Watts, D & V Wells, F Westcott, P Whittaker, M Williamson, S Wiseman, B Zonfrillo. Special thanks are also due to Kevin Waite whose expertise and patience has resulted in the provision of the Atlas maps.